Amazing Home steps to the beach in Mahogany! Welcome to Mahogany Waters, the best estate area in Mahogany. This home is just down from the park and DIRECTLY ACROSS from a private access gate that leads directly to the beach! Only members of Mahogany Waters cards are able to access this entrance. This home is perfectly located just around the corner from all the lake homes and Mahogany Island! 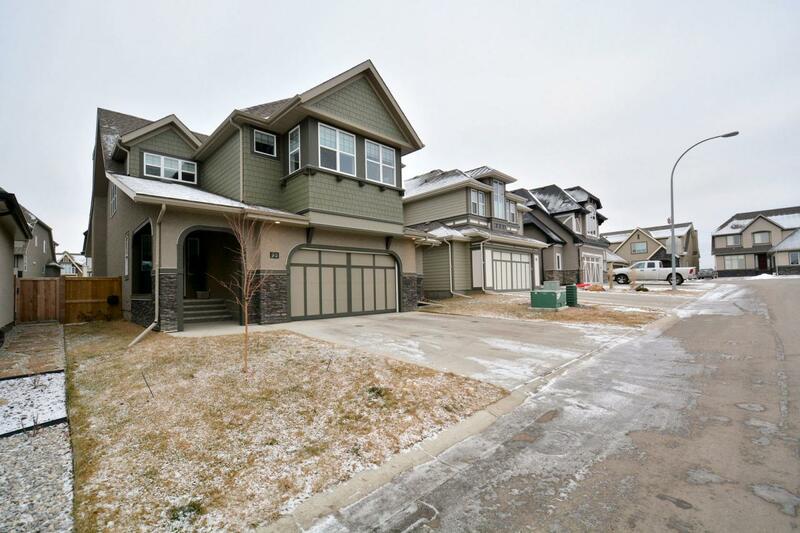 Boasting over 3000+ sqft this 4 bedroom, large open concept home is perfectly suited to a growing family. Main floor is open and bright with ample windows, huge dropped foyer, main floor office, mudroom with built-ins and a gourmet kitchen with butler’s pantry. Upper floor consists of a large master retreat with spa-like ensuite, large central bonus room, full size laundry room, and 3 additional bedrooms with nooks! Both the front entrance and back deck are covered and all landscaping is complete! The garage is listed as a double but it is almost a triple at 30 feet wide! Don’t wait, book a private tour!